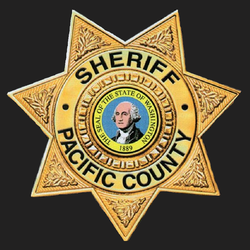 Verizon, AT&T, Sprint T-Mobile and US Cellular wireless customers in the Pacific County area are able to send text messages to the 911 center. This service is to benefit citizens that cannot speak due to an emergency or citizens that have a hearing or speech impairment. All texts to 911 should be brief and should include the location of the emergency. Be ready to advise if you need police, fire or ems and what the emergency is. The text to 911 service should only be used in an emergency when you cannot speak. Call if you can, text if you can’t. Text to 911 service isn’t available everywhere in Washington State. If a person tries to send a text to 911 in an area where there is no text to 911 service, they should receive an automated message back advising the service is unavailable and to call 911.